MBC Drama 'Coffee Prince' to Compete at Monte Carlo TV Fest. The KBS drama series 'Hanseongbyeolgok' and MBC drama series 'Coffee Prince' will compete at the 48th annual Monte Carlo TV Festival. According to KBS and MBC, 'The Ball Shot by a Dwarf' will compete in the TV film category while 'Hanseongbyeolgok' will compete in the TV mini-series category. Meanwhile, the MBS TV drama series 'Coffee Prince' and the "Hankook Tire Mystery" episode of 'Sisa Magazine 2580' will compete in the TV series (comedy) category and the news documentary category, respectively. The Monte Carlo TV Festival will be held in Monte Carlo, Monaco, from June 8 to June 12. 'You Are My Destiny,' a brand new drama series on KBS 1TV has kicked off to a great start. According to AGB Nielsen Media research, 'You Are My Destiny,' which debuted on May 5 after the previous drama series 'Likeable or Not' ended, recorded 24.8 % nationwide viewer ratings. The viewer ratings in the Seoul area alone were 29.1%. KBS explained that the viewer ratings of the new drama series is in the same range as 'Likeable or Not' on its debut date. 'Likeable or Not' maintained a stable viewer rating of 35.4% throughout the past eight months, topping the list of the most successful drama series on KBS 1TV since 2000. Yoona, a member of the popular female vocal group Girls' Generation, stars in 'You Are My Destiny' as the heroine who finds herself happily adjusting to a new family after a life-changing corneal transplant surgery. Park Jae-jeong, Lee Ji-hoon, Gong Hyun-joo, Lee Pil-mo and Kim Jeong-nan are the co-stars of the new drama series. 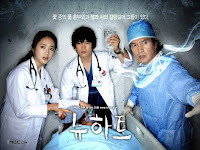 Viewers have commented on the drama as a "story with a positive message to people who have suffered terrible grief." Others commented that "young idol stars like Yoona and Park have proven themselves to be good actors." 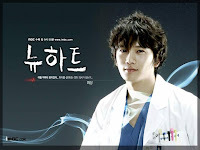 One day, a famous actor Lee Dong Gwon is admitted into the Hospital for arrhythmia surgery. He immediately falls for Hye Suk, who is his classmate from elementary school. 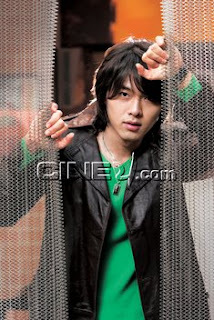 He later getsjealous when he sees that Eun Sung and Hye Suk are getting closer to one another.